16m x 6m Sean Owen designed catamaran. This is a high volume late build Cat powered by C-12 Caterpillars currently in 2B, 3B survey. Vessel can easily be upgraded to 2C 12 + 2 and 1C 50-85 PAX. 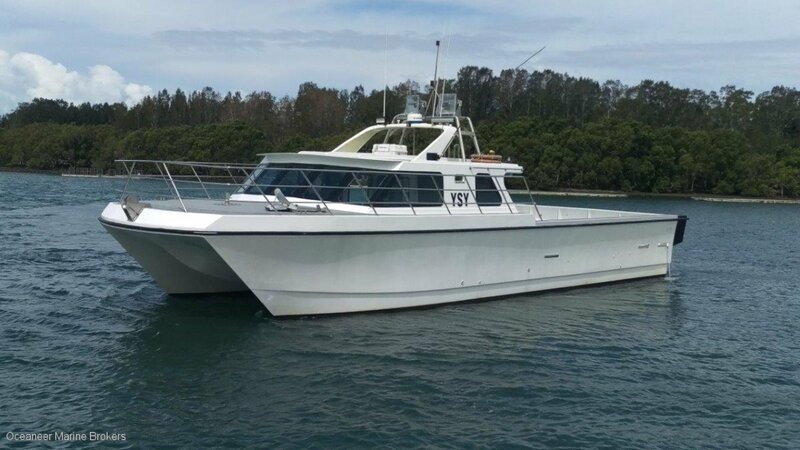 This multi role vessel – charter – lobster – crew – cruises at 20 knots with 8 ton of lobster posts on deck. Includes Furuno electronics, genset with 4000 hours on main engines. electronicsFuruno Echo Sounder - GPS - Plotter - Radar. TMQ auto pilot. ICom radio, stereo.